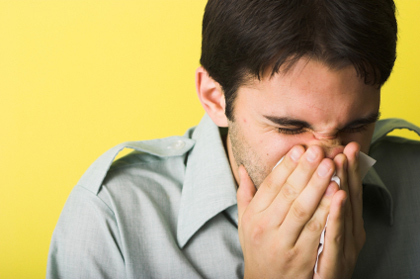 Can Workouts Ward Off the Common Cold? The premise: Emergen-C? Orange juice? Rest and relaxation? Sure, those could all help ward off the common cold, but a new study finds that regular exercise can do the same. “I’ve been looking at this relationship for 25 years,” says Dr. David Nieman, the study’s lead researcher and director of the Human Performance Laboratory at Appalachian State University in North Carolina. Nieman has proven the link in similar, smaller studies in the past, “so I had hoped that the hypothesis would work with a larger group,” he says. The set-up: Nieman and his team tracked the respiratory health of 1,000 people—ages 18 to 85—for 12 weeks during the fall and winter, and asked them questions about how often they exercised and how fit they felt. “We considered exercise to be any type of aerobic activity that increased heartbeats or caused the subjects to sweat for 20 minutes or more,” Nieman explains. The researchers also considered everything from sleep to mental stress to intake of fruits and vegetables. The results: The subjects who exercised five or more times a week logged less sick days by 40 percent, compared to people who worked out once a week or never. And people who felt the fittest had cold symptoms that were 41 percent less severe than those of the people who felt the least fit. But what’s so great about working out? The team found that exercising stimulates the movement of immune cells throughout the body about three hours after a workout. The more often you exercise, the more often your immune cells will be on high-alert for invading pathogens. It’s also important to note that Nieman’s study is more about prevention. If you’re already feeling symptoms of a cold, running is not the magic cure. In fact, Nieman utilizes the “neck rule” to determine if running is a good idea: Symptoms below the neck (chest cold, bronchial infection, body ache) are signs you should take time off, while symptoms above the neck (runny nose, stuffiness, sneezing) can still be endured at the gym. Can Exercise Help Curb Your Appetite?